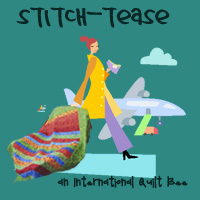 Welcome to my stop on the Crafty Traveler Blog Hop!! 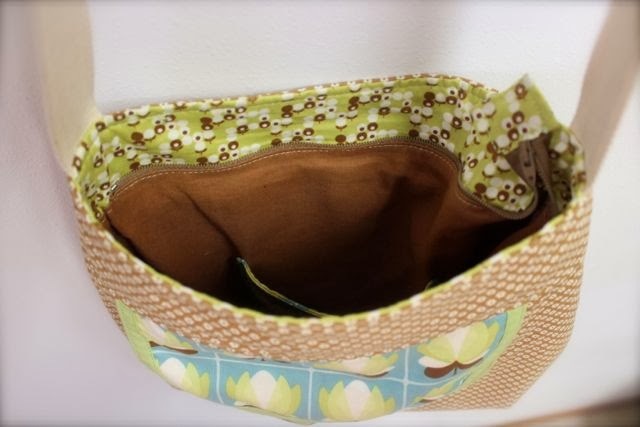 I'm reviewing an awesome Noodlehead pattern: The Sidekick Tote. I love the way Anna writes all of her patterns. They are well illustrated, easy to understand, and the construction process makes sense (to me at least). If you haven't tried any of her patterns, you are missing out. There is a reason why they are so very popular. The Sidekick Tote is an excellent size for everyday use, and I love the front pocket for quick phone access. There is also a pocket on the inside. 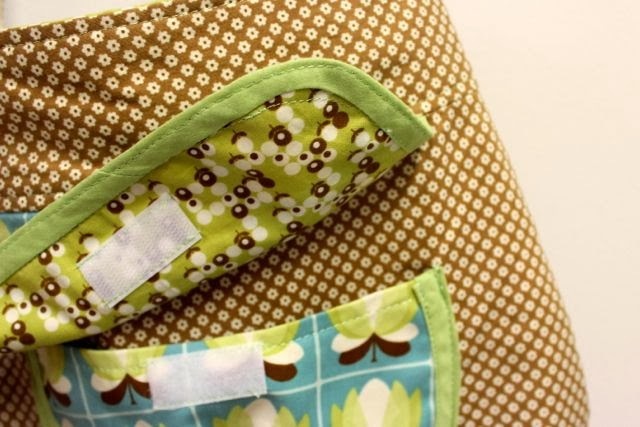 This pattern taught me how to do that wonderful recessed zipper closure at the top that doesn't have any holes on the side. I love this closure!! Does anyone else have that fear of dropping your bag and watching 15 tubes of lipgloss, approximately 8 bucks worth of loose change and other ladies' unmentionables tumbling out onto the floor at the grocery store? …maybe it's just me. Anyway, this awesome zipper closure relieves my fear - and it's not as intimidating to install as it looks. 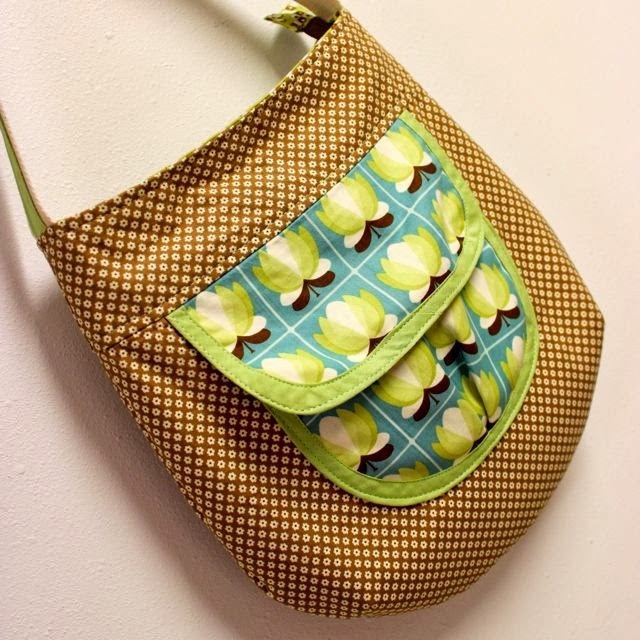 Anna's pattern includes instructions for an adjustable strap, but I opted not to do that. Now I'm regretting it of course, so I suggest taking the time to make that cool strap. I used fabrics from the Boho line by Urban Chiks for Moda (except for the solid lining). The interfacing that Anna suggests in her pattern provides a really nice stability for this bag, but it is still soft and comfy. Thanks for stopping by to see my Sidekick Tote! Click here to get the pattern at Noodle-head.com. 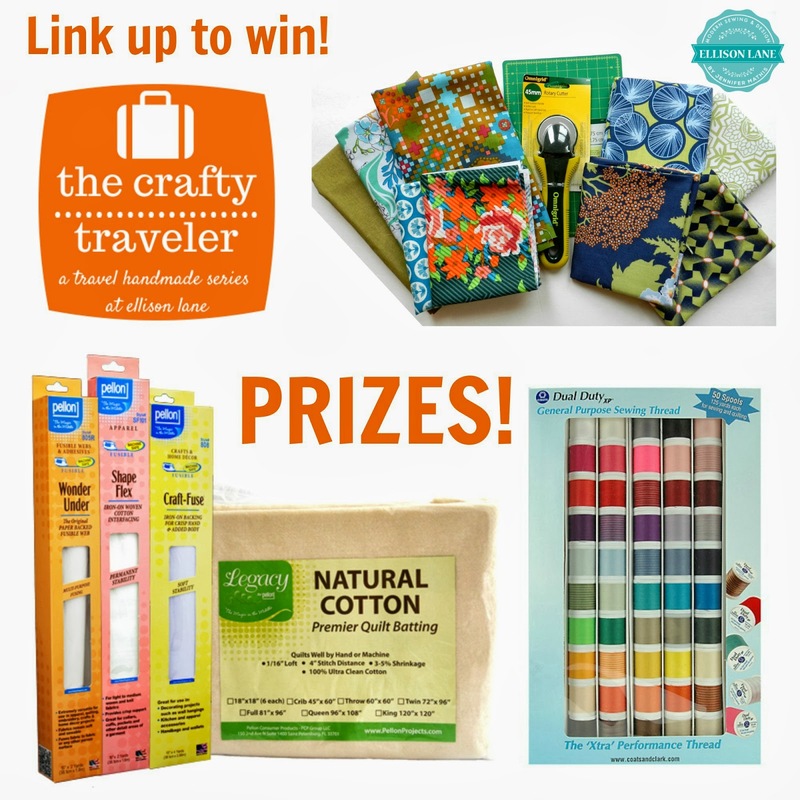 Don't forget to link up your own handmade travel accessory for a chance to win an awesome prize from Jennifer's Crafty Traveler Contest. And check out all the other cool pattern reviews along the Hop. See details below. To enter to win simply link up your project at ellisonlane.com on March 6. 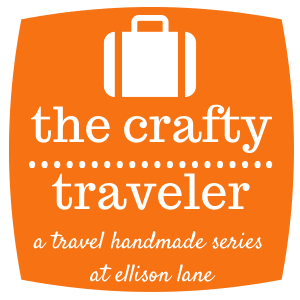 Please link from a new blog post but your project can be anything you've made to travel handmade within the last 6 months. You may also link from Flickr or Threadbias. Thank you Jennifer at Ellison Lane for hosting this fabulous series! 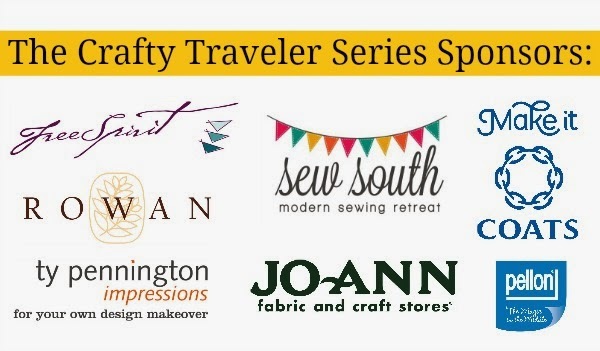 Thank you to the generous Crafty Traveler sponsors!! 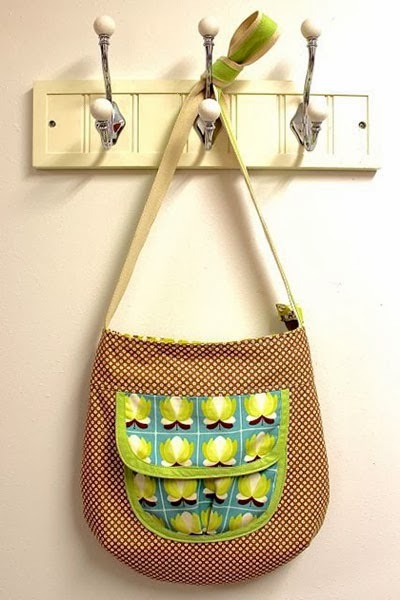 I've had this pattern forever- I need to make one is these soon! Yours is so pretty! Thanks Heather! You should definitely make one. I love mine. Such a pretty bag Trina! Thanks so much for being part of the hop!! Thanks Jennifer! And thanks for doing the hop! Great bag Trina! Looking forward to seeing you soon! I've got this pattern! I need to make it soon. Yours looks great!